Today we are proud to announce that we have been awarded a contract by the General Services Administration (GSA). 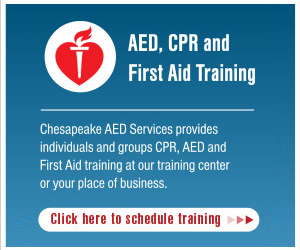 This award allows government agencies to purchase CPR, First Aid, and AED equipment from Chesapeake AED Services. In order to be awarded with a GSA contract, companies must first undergo strict evaluations. We are proud that our longstanding commitment to quality products and services have allowed us to be among the top companies awarded this honor. For more information about Chesapeake AED Services’ contract with the GSA, click here or contact us directly. 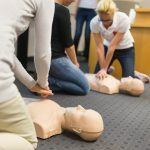 Why Get Certified in First Aid and CPR? AED saves employee’s life the same day it was installed!